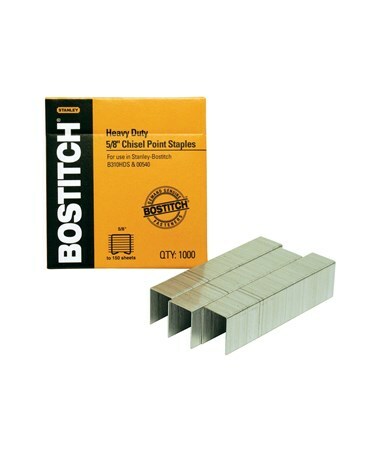 The Stanley-Bostitch Premium Heavy-Duty Staples (1,000 Staples/Box) features finely honed chisel points to allow maximum paper penetration. It is made of superior quality high carbon steel material to prevent jamming and buckling. Designed for maximum performance, it fits Stanley-Bostitch Heavy-Duty staplers and most branded heavy-duty staplers. 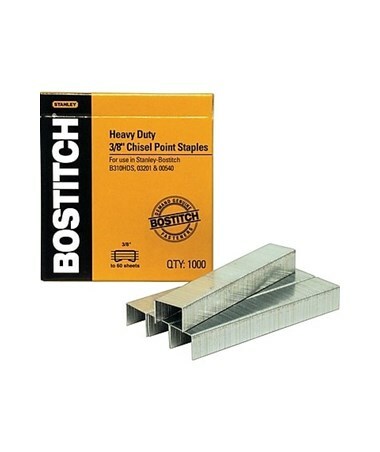 The Stanley-Bostitch Premium Heavy-Duty Staples (1,000 Staples/Box) comes in three sizes, with each variation offering different sheet capacity. Available sizes are ¼ inch for 30 sheets, 3/8 inch for 60 sheets, and 5/8 inch for 150 sheets. 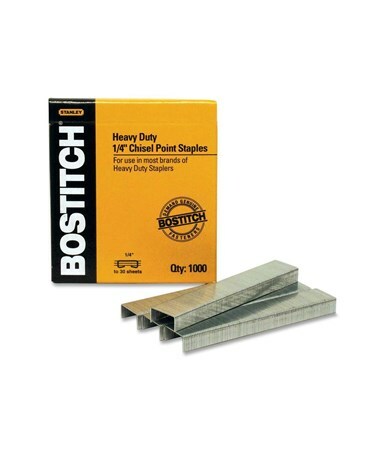 It includes 1,000 staples in one package to accommodate all stapling applications. 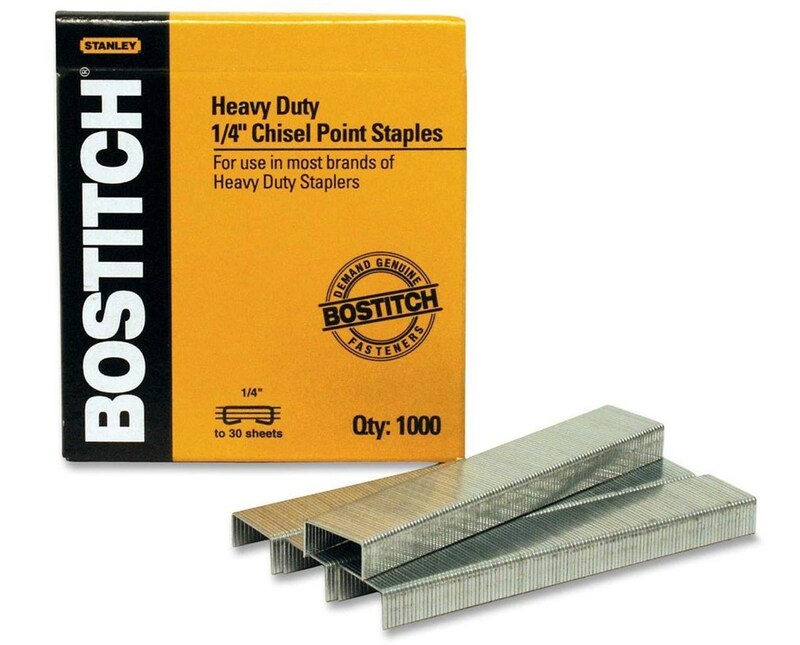 The Stanley-Bostitch Premium Heavy-Duty Staples (1,000 Staples/Box) comes in three different sizes. Please select your preference from the menu above.